Helping your Grade 2 child with handwriting just got a whole lot easier! 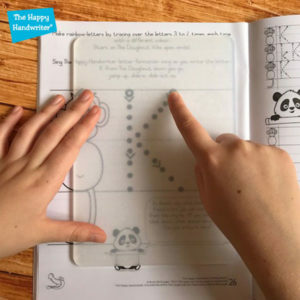 Even if handwriting hasn’t been a favourite until now, this fun and innovative Packet of multi-sensory learning activities has arrived to turn that all around! We know that when it comes to learning to write letters and numbers, a multi-sensory approach to handwriting with fun letter formation activities is a must! No need to bore your child to tears over handwriting when you can wrap it up in a bundle of fun! 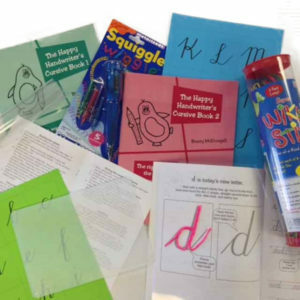 All the sensory aspects for a multi-sensory curriculum for handwriting are available in one convenient packet. Your child will build the upper case or capital letter in the correct formation pattern. Then, using the innovative Texture Overlay Board they will be able to trace over the letter form, while receiving additional tactile input. And just to keep it interesting they can read a fun fact brought to them by our very own Patch the Panda. When it comes to auditory input is not just for the little ones. Research has shown that even older children derive huge benefit from this sensory input. The formation songs help to lay down the motor map in the brain for the letter formation patterns for the capital or upper case letters. If you are worried about how you are going to learn the tune – don’t! Just click through here and you will pick it up straight away! 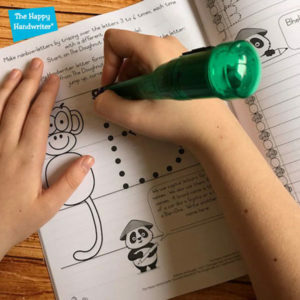 The Squiggle Pen can entice even the most reluctant of writers and the vibration input provided helps to consolidate laying down the motor patterns for letter formation which is critical for a automatic and flowing handwriting patterns. This Packet is full of fun letter formation activities. 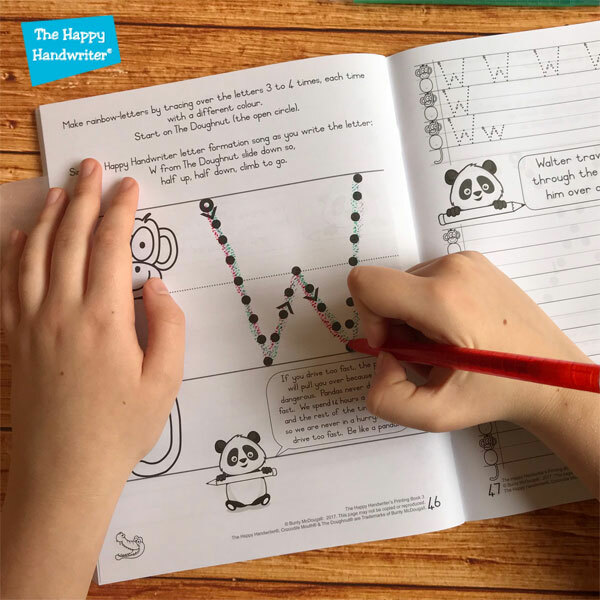 Your child will be constantly surprised by a new way to use the materials, all the while laying down the motor maps for letter and number formation in the brain, enabling them to master the motor map®. Looking to help your Grade 1 child? Take a look at the Grade 1 Multi-Sensory Handwriting Packet. Grab your multi-sensory learning activities Packet today for school, home or Homeschool handwriting curriculum and let your child have a blast while their way to handwriting success!